CKNW deejay Jack Cullen was the sponsor, along with clothier Murray Goldman. I was the emcee and the opening act was Les Vogt and the Prowlers, Cullen’s house band named for his radio program The Owl Prowl. 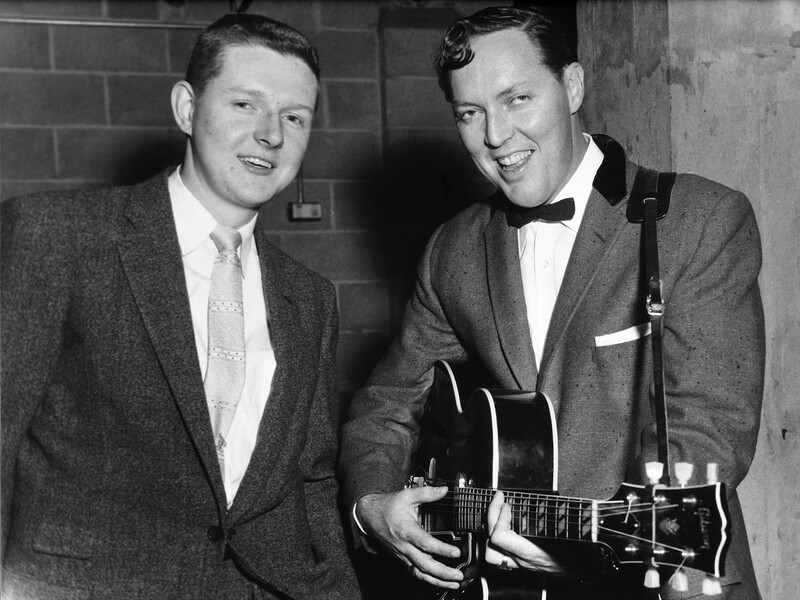 Bill Haley’s appearance cemented the Rock’n’Roll craze once and for all. Bruce Allen was an 11 year old kid in the audience and he has never forgotten the influence it had on him. Bill Haley was articulate about this music and music in general. Almost forgotten in this day and age, but in a historic sense he was the Granddaddy of rock and roll, and a real gentleman.